Hungarian pianist Peter Toth is one of the most recognized artists of his generation. He has concertized in most countries in Europe, including Hungary, Austria, Slovakia, Germany, Russia, France, Holland, Spain, Italy, and Switzerland. In addition, he performed in Japan, South Korea, Peru, Costa Rica, China, Australia, and the United States. 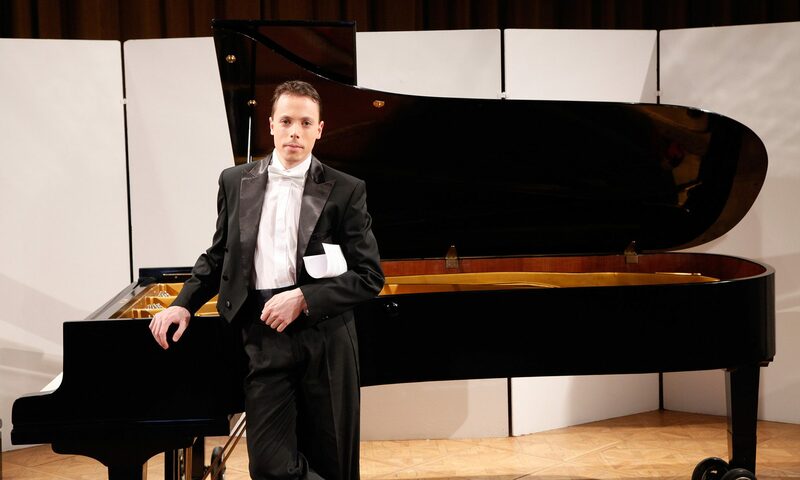 As a competitor, Mr. Toth has won top prizes at numerous piano competitions, such as the American Paderewski Piano Competition (2013), the Franz Liszt International Piano and Voice Competition in Los Angeles (2010), and the Franz Liszt International Piano Competitions in Budapest (2001) and Weimar (2000). His first released CD recording won the Grand Prize of the Hungarian Liszt Society (2006). He also won a special award for the best performance of a major romantic work by his outstanding interpretation of Brahms’s First Piano Sonata at the Southern Highland International Piano Competition in Australia (2011). In 2013, he retired from competing, dedicating himself entirely to the concert stage. 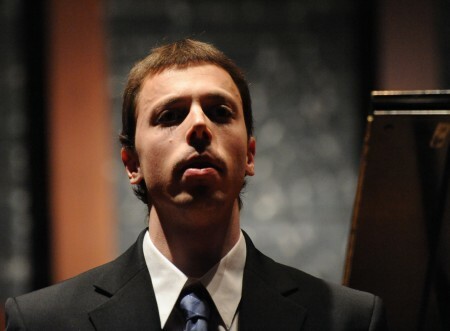 Mr. Toth is a regular guest artist at various piano festivals, such as the Festival de Musique au Château d’ Excideuil and the Festival Musique en Vallée du Tarn in France. In addition, he was invited to serve on the jury panel of the Franz Liszt International Piano and Voice Competition in Los Angeles (2014) and the Liszt-Garrison International Piano Competition in Baltimore (2015). He has been member of the American Liszt Society since 2011. Mr. Toth has lived in the United States since 2009. He has recently earned his Doctor of Musical Arts degree in Piano Performance at the University of Texas at Austin, where he was a student of Anton Nel (2012-2015). He also completed an artist diploma program at Texas Christian University under the tutelage of Tamas Ungar (2009-2012). Prior to moving to the United States, he had studied at the Franz Liszt Academy of Music (major teachers include Gyorgy Nador, Balazs Reti, and Laszlo Bihary) and the Bela Bartok Music Conservatory (major teacher: Jozsef Csontos) in his native Hungary. His scholarly activities have included the investigation of the progressive harmonic language of Franz Liszt’s piano music. His scientific work, “Symmetrical Pitch Constructions in Liszt’s Piano Music”, was published in the Spring of 2016. In spite of being a strong advocate of Franz Liszt’s music, Mr. Toth has a wide and diverse repertoire, ranging from J.S. Bach to contemporary music, with a particular focus on the piano music of the 19th century. He is an enthusiastic interpreter of the works of Beethoven, Schubert, Chopin, and Brahms. Mr. Toth is a piano faculty member at Rutgers, The State University of New Jersey, and he also teaches piano at Fairleigh Dickinson University (Madison, New Jersey). Last night something very special happened in Carmel as a new concert series, “Music at All Saints Church,” presented its first event, a piano recital by the brilliant young Hungarian pianist Peter Toth. It took a lot of planning and the right set of circumstances to make this happen. Perhaps the first in the chain of events was the Church’s acquisition two years ago of a fine Steinway concert grand piano from distinguished San Mateo pianist Helene Wickett. Next came the positive support from All Saints Church Rector, Father Rick Matters, Director of Music, Jean Widaman and All Saints Church Vestry members. The final catalyst for this inaugural concert came from Carmel pianist and teacher Barbara Ruzicka, who had heard Toth in his dazzling San Francisco debut in 2007. Ruzicka felt a personal connection since Toth had been the recipient of the Sari Biro Memorial Prize at the Franz Liszt Academy in Budapest and Ruzicka had been a piano pupil of the late Sari Biro in San Francisco twenty years ago. Whatever everybody did to promote this concert, it certainly worked in a big way. The church was already half full at 7:30pm, and by its scheduled beginning time of 8:00 pm, it was “standing room only,” with staff members setting out folding chairs in the aisles and at the rear of the church. If the Fire Marshal had made a surprise inspection and observed the church so totally over crowded that it looked like a refugee center in a crisis (rather nicely dressed refugees, we might add), with lit candles at the head of every pew, he might have been well within his rights to shut the event down. However, Father Rick Matters, obviously sensitive to this situation, moved a portion of the overflow audience to the Choir pews on stage during the intermission and retired some of the folding chairs that were blocking the aisles. Even spreading out the audience, you only had to look around and observe that this was the largest single audience that All Saints’ Church had ever seen. Another significant aspect of this concert was the presence of so many young music students, mostly piano students of course, shepherded to the event by many of the Monterey Peninsula’s most prominent piano teachers. When Mr. Toth finally walked out to begin his program, it was to a full house of enthusiastic music lovers who gave him a rousing ovation. Toth, a serious young man, not given to gratuitous smiling, presented a somber appearance at the piano and was all business as he launched into his first selections, the Impromptus Nos. 1 & 2 from Schubert’s Op. 90. These were solid performances relying more on power than charm to make their points, and they revealed a powerful and commanding presence at the keyboard. The remainder of the program, Liszt’s B Minor Sonata and Brahms’ Variations and Fugue on a theme by Handel, confirmed that we were in the presence of an outstanding young virtuoso pianist. There is virtually nothing he cannot do at the keyboard. Tackling head on two of the most challenging works in the entire piano repertoire, he swallowed them whole and made them his own. As Carmel’s Sunset Center Theater continues to expand its concert presentations to include an ever increasing number of icons of pop culture, smaller venues like All Saints’ Church have become significantly more important for intimate concerts featuring chamber music and instrumental recitals. The crowning glory of All Saints’ Church is its perfect acoustics, for whether you are seated in the first row of pews or all the way to the rear of the Church, the sound is rich and vibrant and needs no digital enhancement. Ironically, the extraordinarily live and resonant acoustics at All Saints’ Church actually worked to Toth’s disadvantage. His larger than life performances with dynamics at such loud levels would have succeeded even better at Sunset Center Theater (735 seats), Carnegie Hall (2700 seats) or the Royal Albert Hall (6,000 seats). The intimate ambiance of All Saints Church was almost overpowered by Toth’s virtuosity, which tended to impress us more than it moved us. Yet any time there was a quieter passage, we suddenly heard the sensitive, poetic side of his nature, and it was gorgeous. Especially beguiling was the single encore, Schubert’s lyrical Impromptu in G-flat Major, Op. 90, No. 3. In this piece, a kind of a “Song without Words,” we heard a lovely shaping of the musical line, and a skillful control of accompanying textures. It was a knockout! All Saints’ Church presented an opportunity to meet the artist and purchase his CDs at a very nice reception following the performance downstairs in Seccombe Hall. I hope we are only seeing the tip of the iceberg, and that there will be many more events in this new “Music At All Saints” series. Rachmaninoff: Piano Concerto No. 2, part I.
Rachmaninoff: Piano Concerto No. 2, part II. Rachmaninoff: Piano Concerto No. 2, part III. Rachmaninoff: Piano Concerto No. 2, part IV. Requests for signed copies must be indicated. This CD won the Grand Prix International Liszt du Disque Award in 2006. 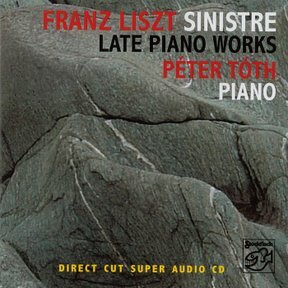 Franz Liszt: Sinistre—Late Piano Works is Peter Toth’s award-winning direct cut super audio CD recorded by Stockfisch Records, a prominent German independent record label. The recording was made in 2004 at Crear, a concert venue in the picturesque Argyll, Scotland. One year later the disc won the Grand Prize of the Budapest Liszt Society. “The art of Péter Tóth is not only characterized by virtuosity, but also by an intelligent process of musical construction, which is the result of a deep spiritual insight in the great masters music. Besides one can enjoy the poetry of music and the large palette of colours and characters obtained through the subtility of his touch.” – Jury’s assessment, Grand Prix International Liszt du Disque Award 2006.